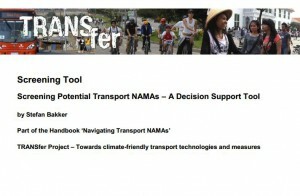 Find here further information on transport NAMAs and transport and climate change! Have a look at the Toolbox where you can find useful tools for developing specific parts of your transport NAMA and also more general ones that help coordinate the whole project. Check out our Handbook for more detailed information on each step within the NAMA developing process. 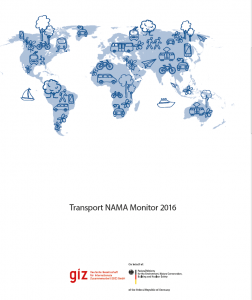 For additional Information on Transport NAMAs look into the Transport NAMA Monitor with the latest trends and developments of transport NAMAs around the world. 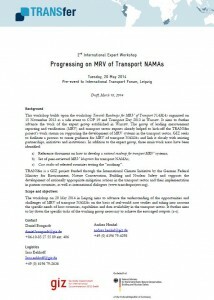 Visit the Publications site for further transport related content. Find here: Factsheets, TRANSfer News, concept notes and reports. To change your settings please see our policy.